Photo by Jay Koh. Property of Village Theatre. 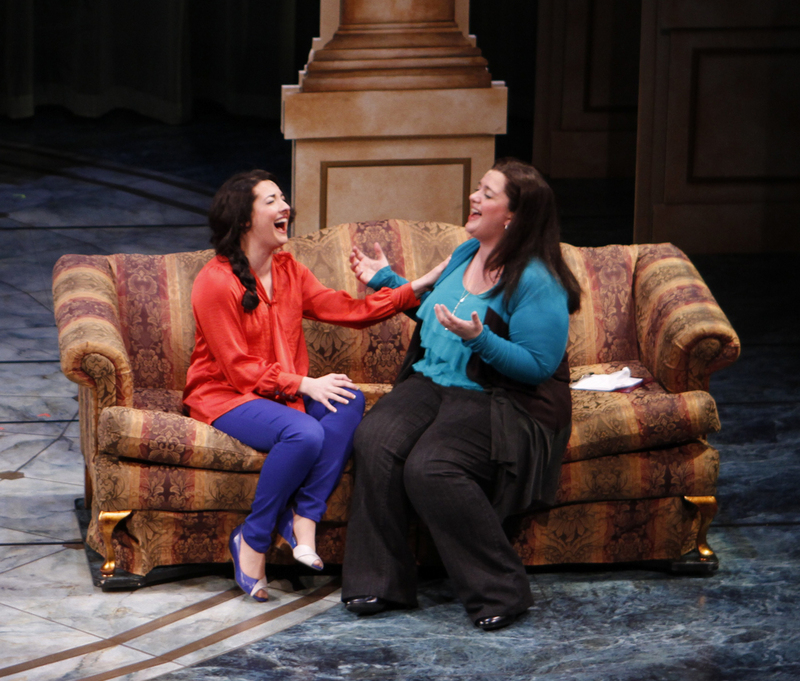 “It Shoulda Been You” is a hilarious and entertaining behind-the-scenes view into family life, wedding planning, familial relationships, love, laugher and embracing one’s identity. The songs are catchy and the characters endearing despite their own flawed natures. Performances are top-notch with an equally strong supporting cast. Combined, with an uptempo pacing, you will find yourself joyfully carried along through all the biting one-liners, unexpected plot twists, as all is not as it seems and the over the top chaos and quirkiness which is the modern family wedding. There is a ‘laugh or else you might cry’ mindset which pervades the production, as serious issues are called to light, but dealt with in a comical manner. The emotionally stunted father unable to show authentic affection to his son, the mother incapable of recognizing the beauty and value of her oldest daughter, simply because she’s heavyset and yet unmarried, parents who turn to alcohol and the manipulation of their children’s lives to try to compensate for their own less than satisfying marriages and more are all on display in “It Shoulda Been You” and yet we laugh. Perhaps laughter is the best of medicines and certainly preferable to tears, as we recognize the best and worst of the characters in ourselves and the people that we know. Photo by Jah Koh. Property of Village Theatre. The story begins with the older sister of the bride Jenny Steinberg, played by the captivating Kat Ramsburg, doing everything in her power to insure that her younger and skinnier sister, Rebecca’s wedding goes off without a hitch. Not that her efforts will ever be recognized by her scrumptiously wicked and quick tongued mother Judy, played by the talented Leslie Law who revels in the larger than life character. Judy was smooth “like buttah” as she tosses out one lined zingers throughout the play, at times completely oblivious to their effects; especially upon Jenny. Once while looking at both daughters, she remarks off the cuff how wonderful it is that at least one of her daughters can fit into her old wedding dress. Ouch. Clearly Judy has grown accustom to getting her way and making the decisions in the Steinberg family for a long time. She is the irresistible force. Enter into the picture, the mother of the groom Georgette Howard, played by Jayne Muirhead. Georgette is the immovable object in her world, where she enjoys controlling her passive husband and affirmation starved son as well as have a drink or two or three. The tension builds between the two culminating in a wonderful scene where the female wedding-party members are in a salon to get their hair and makeup done. Forced to be around each other in such close quarters quickly wears away at their token niceness and soon the claws come out. Before long, the ex-boy friend shows up, played by Josh Carter and you know that you are in for a wild ride. 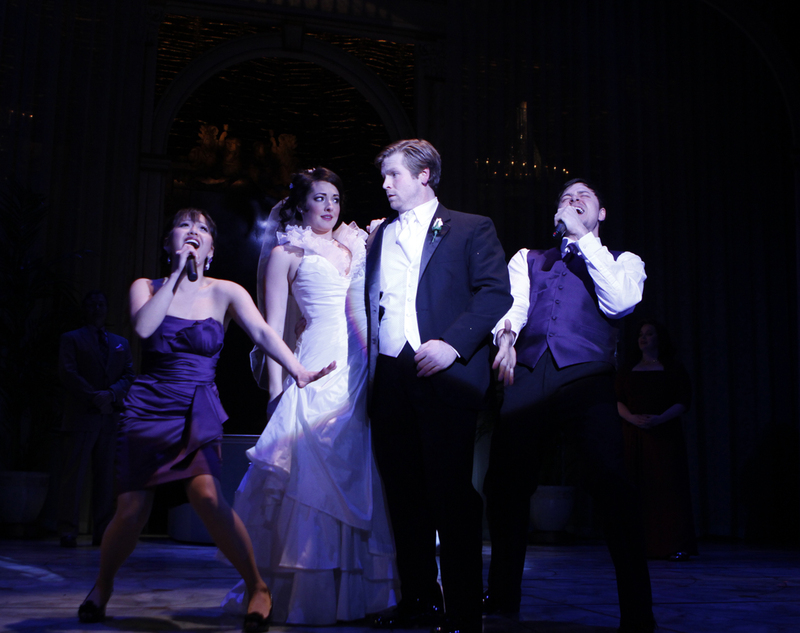 While there are many noteworthy scenes, particularly amusing was the over-the-top wedding tribute song to the newlyweds, performed by the best man, played by Greg Madison and the maid of honor, played by Diana Huey. It was absolutely hysterical, had the audience howling in laughter and may very well be worth the price of admission alone. Another poignant moment, drawing applause from the crowd was when Jenny begins to stand up for herself breaks out in an amazing performance of “Jenny’s Blues”. When Murray, Judy, Marty, Uncle Morty and Sheila belt out “It Shoulda Been You”, referring to the ex-boyfriend, you don’t know whether to laugh, sing-a-long or run for the hills. “It Shoulda Been You” has many wonderful, memorable scenes and moments; some will inspire open laugher, others may cause you to become a little verklempt, while yet others may catch you completely off-guard. Despite the many dysfunctions of both families, the message presented is an optimistic one. While we at times may not see it or even be willing to believe it, families can choose to rise above their own petty self-interests and come together in deeply meaningful ways and for a time, love one another unconditionally. The craziness of life can make us forget that, like my mother would tell me when I was younger, blood is thicker than water; “It Shoulda Been You” reminds us of that. It shows us that it can happen and even though we dare not hope at times, dreams can come true for us after all. While the invitations may have been cordial, the event itself was anything but cordial. 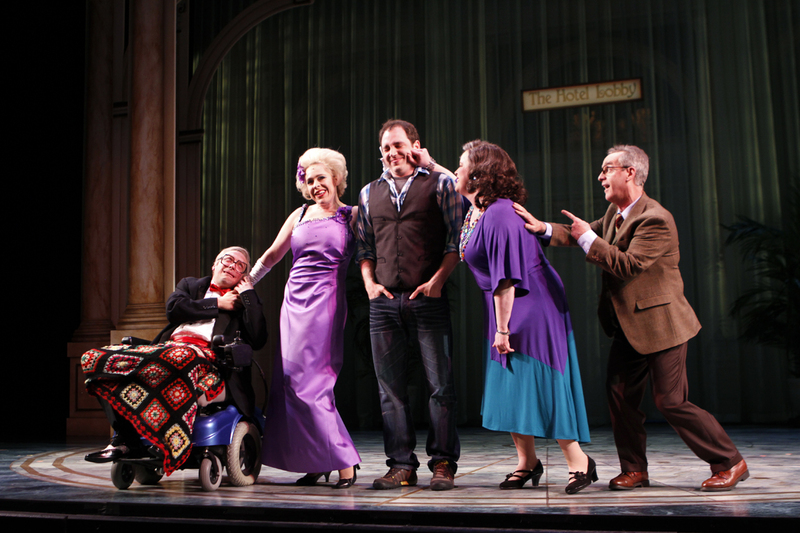 So quit kvetching and don’t be such a nudnik, checkout “It Shoulda Been You”. You will never look at weddings the same. Since we are in the process of planning a wedding, this would be a great show to see. I’m sorry I didn’t know about it last week when I was in the area with my future daughter-in-law and her mother, doing wedding shopping! I would love to see it, it sounds great! I haven’t laughed that hard in a long time. It’s a new musical and new musicals need to start somewhere. Here’s to hoping that the rest of the country will get the chance to see this wonderful show.